By now you've probably heard that Conde Nast announced they will be closing Gourmet magazine. I'm sitting here feeling physically ill that my favorite magazine will no longer be around. As much as I love Bon Appetit, Gourmet was always the magazine that I really looked forward to and danced excitedly about when it arrived in my mailbox. 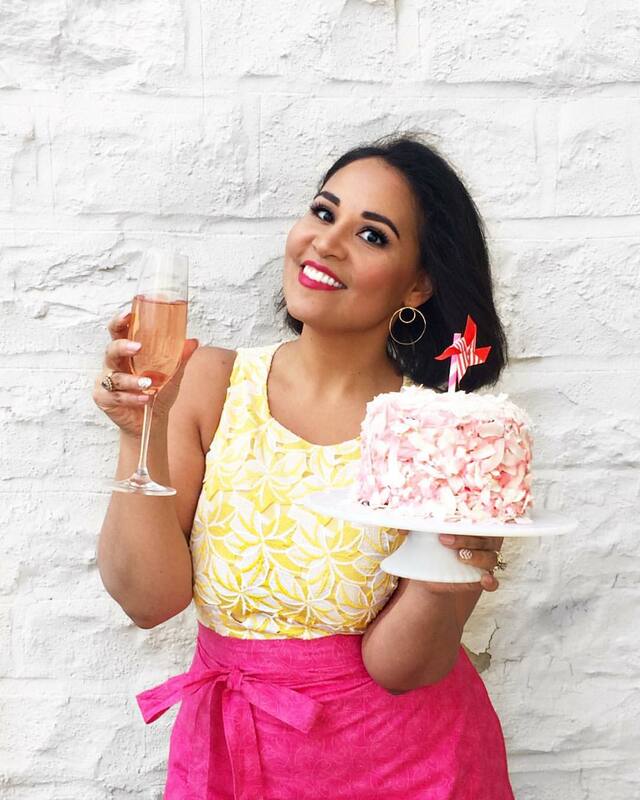 It's probably the only magazine that I have actually cooked from (you'll see a few adaptations of their recipes in this blog from time to time). Right now, this whole thing feels like a terrible mistake or a horrible joke, akin to those silly pranks that went around the Internet a few months back claiming that actors like Jeff Goldblum or Matt Damon had died a sudden death by falling off a cliff. It doesn't feel real. I keep waiting to read a message somewhere on Twitter that they changed their minds. That they'll bring it back. I am, in all honesty, near tears. I wish the best to Ruth Reichl and her talented staff. I can only hope that this closed door will lead to something even more incredible. I know I'm not the only one who feels this way. I'd love if, in the comments, you would share your own thoughts about the closing or your favorite memories about the magazine. Are you kidding me? That's the one I look forward to as well. I didn't know that. When I was a teenager, I made a chocolate hazelnut mousse cake. I had to special order ingredients that weren't avalible in my tiny WY town. After that I wasn't afraid to cook anything. The recipe was from Gourmet. Honestly, I'm not surprised. I cancelled my subscription in 2004, when I counted my newly arrived issue and realized that more than 50% of the pages of the magazine were advertising. I hope that the contributors can find ways to put their content out there that doesn't involve packaging it along with a half-ton of glossy wasted paper. SugarPunk: I'm sorry but I really don't understand your comment. Gourmet magazine certainly didn't close because of a surplus of ads, and definitely nothing like 50% -- which is just unheard of (if highly desired) in publishing. In fact, it's just the opposite. The economy is down, so the ad market is down, so magazines are folding. Magazines NEED advertising in order to continue publishing. The money does not come from a $12 yearly subscription; the money comes from the thousands of dollars the advertisers pay to be in the magazine. And without that "glossy wasted paper" the company would not able to pay the writers, editors, photographers, printers, shippers, art directors, etc. that make the magazine possible. If you want a magazine without ads in it, then you're going to pay dearly for it. Think hundreds of dollars per issue, as opposed to a couple bucks. And you certainly won't see any glossy pages, wasted or otherwise. I am speechless too. This is akin to hearing about the closure of the New York Times while tabloid papers continue to run. My dream was to be a photographer for Gourmet, and even when it's gone, I believe that the magazine will continue to be a benchmark of quality food writing and photography for many of us. They're closing gourmet because ad sales are down. Before you condemn advertising, ask yourself, how will that magazine pay its bills? Wow; I've been away all day so just saw your Tweet re: this. I have Gourmet magazine going back to their BEGINNING. Hand-drawn illustrations, with ads mainly for cigarettes & alcohol. I admit I haven't been nearly interested in the recipes of late, but to see it go makes me feel like there's been a death in the neighborhood. I have a huge sentimental attachment to Gourmet, and Ruth did a great job there IMO. All of that said, I see a lot of dumping on McKinsey, as if they should have somehow made a plea for an emotional decision vs. a financial one. I don't get it. When you're backed into a corner, like Conde Nast is, you do what you can to survive using the best information you have. Keeping around Gourmet, if it means that they all go bust 6 months from now would be a worse decision. So lets all pour out a little juice for our Gourmet homies, wish them luck in their future endeavours, watch the value of our Gourmet collections climb, and move on. I can guarantee you Ruth will not wallow in self-pity for long, nor should we. Happy Sorceress: Me too-- I , also, have all the old back issues. Have been pouring over them this evening. This is really sad to me and like a death, for those of us who have learned so much from their pages over the years. I really loved the Jane M years as editor. RIP, Gourmet. You will be greatly missed. I've been imagining my byline in Gourmet since I began reading the magazine. It's a hard pill to swallow to accept that won't be a possibility. So sad. I'm really sad. I was even thinking this summer that I would try to get published so I started taking a class recently....and then when I heard, I was so devastated. I did a few pages of food styling for them back in the 80's - yup I have been around that long! 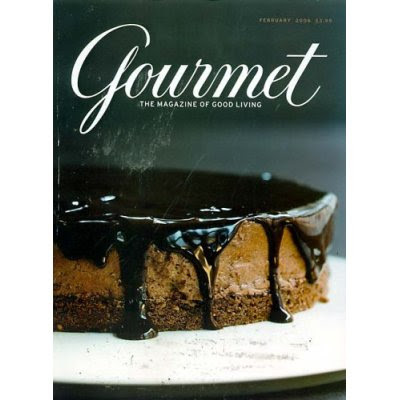 I've loved Gourmet since the 80s, when Laurie Colwin was writing for them. I'll miss it.